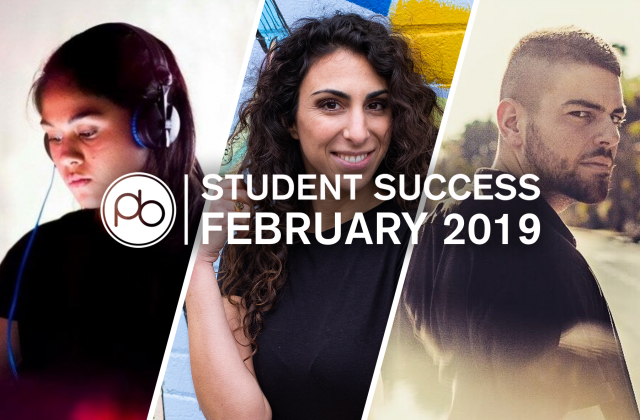 Each month, we catch up with Point Blank students and alumni to showcase their successes since studying with us, giving you an insight into how music industry careers are established and nurtured right here at Point Blank. This month we present former students from a variety of disciplines, including one Andre Crom, the Barcelona-based head of OFF Recordings and Composition alumnus. Check out our London, Los Angeles, Ibiza, Mumbai and Online course pages to begin your own journey in the music industry. Andre Crom was already a globally touring DJ when he came to study with us, already in charge of his OFF Recordings label and had already released several tracks, including a few with his frequent collaborator Luca Doobie. But even successful artists need to learn sometimes, and as so many producers will tell you, the best way to learn the nuts and bolts of composition and music theory is to be taught. So, in 2015, we welcomed Andre to our school to study Electronic Music Composition with us online. Andre was kind enough to spend some time answering a few questions about his experience with Point Blank. Read the full exchange below. When I set out to seriously learn solo music production about 3 years ago I wanted to do a course that would teach me the basics of music theory aimed towards the specific things I’d need to know for electronic music. So I googled for production schools and the “Electronic Music Composition” course of Pointblank seemed the right fit. I had several years of experience of doing co-productions with different partners, and as well finished maybe two or three dozen solo tracks. So I knew my way around Ableton… but as I had no clue of music theory, I just jammed around, and I was always kinda scared to play something “out of tune”. Yeah, to really understand what a “scale” is, and the most common progressions, like 3 or 5 semitones, and that if you just hit the white keys focusing on “A”, you’ll stay inside the A Minor scale which is extremely common for underground electronic music… that was very helpful to understand in the beginning. Almost the same like when I realized the system of “8/16/32… bars” when learning to DJ. Yes. It was a comprehensive course teaching all the basics I needed to get started on my journey to become an accomplished producer. Check out Andre on Instagram and all other social media platforms, and be sure to subscribe to OFF Recordings on YouTube. Tomas Crow is a producer, sound engineer and musician hailing from Rosario, Argentina, now based in London. He came to study with us in 2015 after lengthy research into his chosen field of music production and sound engineering. He has gone on to put everything learned to good use, playing regularly at Egg London and Number 90, and developing a unique live set with live guitar playing. Not only that, but he’s also been working as a sound and light tech at Egg. He spent much of his time while studying with us putting the equipment to good use, the result of which is his forthcoming album ‘Detoxify’. For a preview of the new record, check out Tomas on Instagram and Soundcloud. Neil Bopperson is a DJ and Radio Host based in Paris. Neil studied radio broadcasting with us back in 2011 and recently moved to Paris to work as a radio plugger. He has a monthly show on Le Mellotron Radio. He is also a resident at the Bussey Building’s long-running South London Soul Train, playing deeper cuts in the basement at Rye Wax. 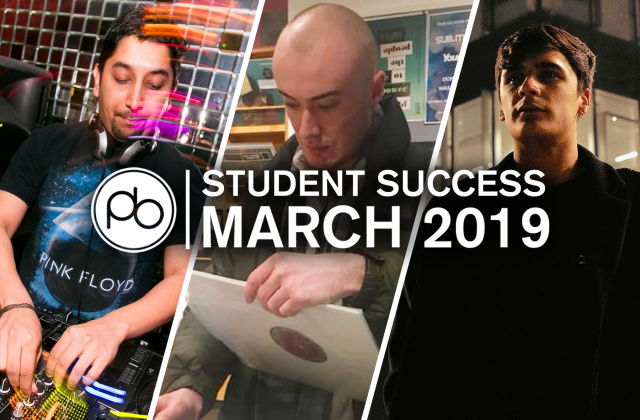 Catch Neil co-hosting Le Mellotron’s breakfast show on Gilles Peterson’s Worldwide FM next Thursday 8th Feb.
Successes such as these are not uncommon among our students and alumni, and the common denominator is Point Blank. We can teach you how to DJ like the best of them at any of our schools. If you’d like to learn how to produce, then we can build your skills from the ground up. Our most comprehensive course, our BA (Hons) in Music Production and Sound Engineering is accredited by Middlesex University, as is our online alternative. For more information contact us via our contact page.